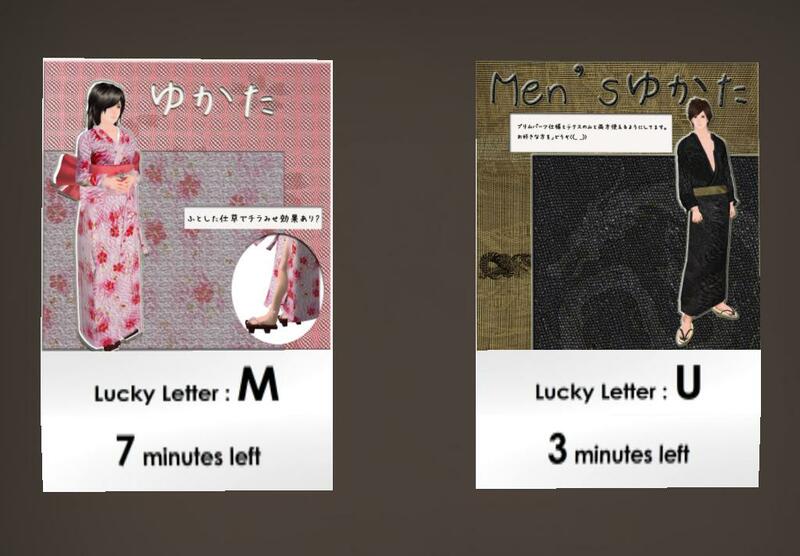 New lucky boards available at this little Yukata shop, they have some past Sakura Wars themed lucky boards too and freebs. They change every 10 mins with wildcards. Goodluck.